You have 30 days to file an appeal from the time that you receive a final written Notice of Intent to Levy before the IRS can seize your assets for an unpaid tax debt. This 30-day rule has some exceptions, but if you fail to take action within the said deadline, the agency will proceed with the wage levy or wage garnishment. You can settle your tax debt in full or undergo payment agreement with the IRS. The IRS wage levy will continue until you have fully settled your tax debt, or if you have come up with an amicable arrangement with the agency, or otherwise, you can opt to wait for the Collection Statute Expiration Date for the tax years that you have been delinquent in tax payment. There are some exceptions, or a way out, to stop an IRS wage garnishment. The best way to do it would depend on your financial or credit situation and also the taxes you owe. With the options outlined below, you would be required to be up-to-date in filing your taxes. You would need to file your tax returns before any arrangements or tax resolutions would be made between you and IRS. You can request for a Collection Due Process, or CDP hearing procedure, from the IRS Office of Appeals. 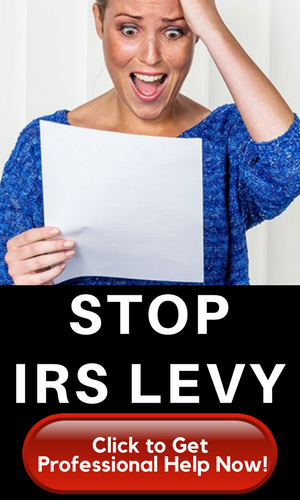 This allows taxpayers the right to appeal the levy and lien decisions of the IRS. The Office of Appeals is an umbrella organization that is within the agency but independent from IRS. The latter covers the levy. You have 30 days to request for a CDP hearing from the day that the IRS has sent you the final written notice of the intent to levy. Collection of payment would usually stop once you proceed with the CDP hearing process — except in the event of state refund levies, federal contractor, jeopardy, and DET. To request for CDP, you would need to fill out form 12153 and then send it to the IRS officer handling your case. While you are waiting for the schedule of the hearing, it is advisable to consult early on with a tax professional who can represent you in the hearing procedure and be able to sort out issues. This professional will also help you come up with the best tax resolution option that would result to a win-win situation. If you wish to dispute, then you must propose an alternative for collection activities, claim that you are experiencing financial hardship, or offer defense. The wage garnishment will continue once IRS has come up with a decision. For more information, check out publication 1660 . This is used to stop IRS wage garnishment. For those who can afford to pay in installment terms, they may not be qualified for an Offer in Compromise (OIC). This is considered as a “collection alternative,” which is made in agreement with the IRS and the taxpayer. This allows the individual to settle his or her tax debt for less than the actual amount owed. You need to apply for an OIC. This would usually be granted in the event that there is doubt to collectibility, liability, and if it is based on an efficient tax administration. You may want to consult a tax professional before applying for an OIC. One of the most preferred payment plans is the Installment Agreement. To apply for this, you would need to get in touch with a licensed tax professional and contact the number indicated on your levy notice. If you are unable to pay right away, you can apply for an installment agreement, which allows you to have staggered payments. Once the IRS approves this payment plan, you get to establish good credit standing and this should stop the wage garnishment. If you intend to file for hardship, then you must be able to declare in detail your financial situation. You need to prove that you are incapable of paying the taxes owed due to financial hardship before the IRS can declare you as uncollectible. The agency will then have to temporarily stop all collection activities until such time that your financial condition gets better. Married taxpayers would usually file jointly because of the benefits of this arrangement, but in this setup, you will also be both responsible for paying taxes. However, if you feel that there are omitted, erroneous, or inaccurately reported items on your tax returns, then you can dispute this. It is advised to consult with a tax professional when you intend to apply for an Innocent Spouse Relief (ISR) to contest tax liability and prove your claim. Once you file for bankruptcy, you will automatically be released from debt and personal liability. This also stops wage garnishment. Filing for bankruptcy is also a way for other taxpayers to eradicate trace of old tax debt but if you still have a balance in your tax debt, then IRS would start wage garnishment right after completion of bankruptcy. You can only erase old tax debt if you did not commit any tax evasion or fraud. This automatic stay prevents creditors from collecting payments from you. This however is just temporary and has a negative impact on your credit standing so only consider this as a last option. It is recommended to work with a bankruptcy attorney or expert to guide you in filing for bankruptcy. You can reduce your working hours so as to establish your hardship status and be declared uncollectible by the IRS. You should, however, be careful with declaring financial hardship because IRS may not go after your wages, but it can seize your bank account and other assets. In addition, having low income or trying hard to cut back your hours to declare a low salary may not help augment your expenses after all. This does not appear to be a good move – not one bit. However, there are many taxpayers who would choose to change employers or quit their jobs, so they could prevent IRS from seizing their wages. They think that if they do this, it would take months for IRS to start collecting tax payments again. However, once IRS finds out that you resumed work with another employer, then wage garnishment would start again. 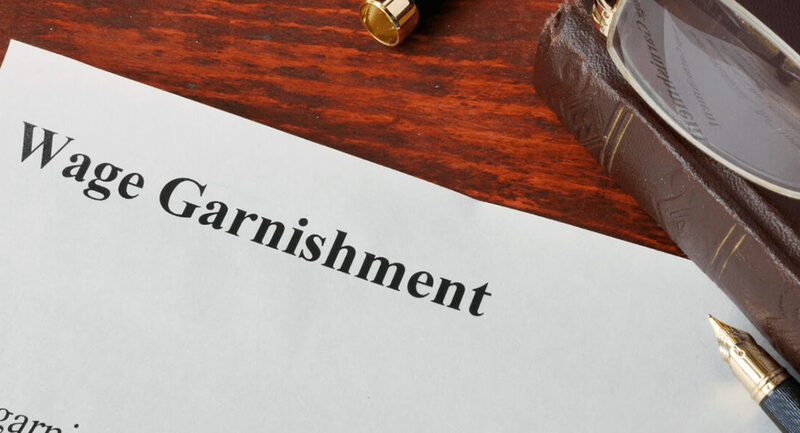 Many people detest wage garnishment by the IRS but if you have received a final notice to levy then it would be wise to seek expert advice and assistance from a tax professional.